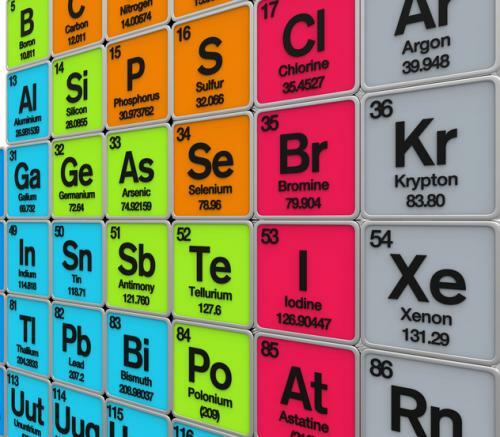 Four new elements have been officially added to the periodic table by The International Union of Pure and Applied Chemistry (IUPAC), the international body responsible naming compounds and maintaining the table. The four new elements with atomic numbers 113, 115, 117 and 118 were all synthesised in laboratories. They find place in the seventh row of the periodic table. Nihonium was discovered at RIKEN Nishina Center for Accelerator-Based Science (Japan) and is named after the country of discovery. Nihon is one of the two ways to say “Japan” in Japanese, and literally mean “the Land of Rising Sun”. Names Moscovium and Tennessine for elements with atomic numbers 115 and 117 respectively also honour the place/geographical region of discovery. Moscovium is in recognition of the Moscow region and honors the ancient Russian land that is the home of the Joint Institute for Nuclear Research, where the discovery experiments were conducted. Tennessine is in recognition of the contribution of the Tennessee region, including Oak Ridge National Laboratory, Vanderbilt University, and the University of Tennessee at Knoxville, to superheavy element research. The name oganesson (Og) has been proposed for the element with atomic number 118 to recognise Yuri Oganessian (born 1933) for his pioneering contributions to transactinoid elements research. His many achievements include the discovery of superheavy elements and significant advances in the nuclear physics of superheavy nuclei including experimental evidence for the “island of stability”.